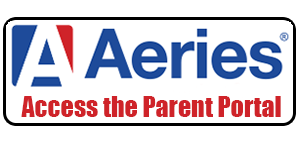 The Portal is an online service that will allow student and parents to view grades, assignments, and attendance. You can log in to the Portal here. sreyes@puhsd.k12.ca.us at Del Oro (916) 652-7243, ext. 1012. Check out this video that will show you how to use the Portal to complete the Data Confirmation Process. KNCO, Grass Valley - 830 AM. Are you a Del Oro parent who is willing to volunteer to walk loops around the campus occasionally (typically for an hour or so one day a week) and let us know about any issues you see? It’s a great opportunity to be a positive adult on campus, get to be somewhat involved in your kid's school experience, and help make Del Oro better. Let us know that you are interested by completing this form and we'll follow up with next steps. Take a minute to preview what all parents of seniors will receive each fall----it's the individualized score report from our spring online testing of 11th graders. Before being able to volunteer at the school, you must be fingerprinted and cleared through our District office. To receive an application, please contact Mrs. Rath in the Principal's office - 916-652-7243 Ext. 1002. Need a student Work Permit? Fill out this work permit form and return it to the Del Oro office. Regarding the privacy of your student's data, go here for information. Learn about our use of Chromebooks.